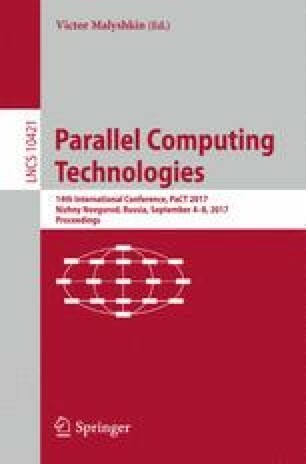 In this work, a job-flow scheduling approach for Grid virtual organizations (VOs) is proposed and studied. Users’ and resource providers’ preferences, VOs internal policies, resources geographical distribution along with local private utilization impose specific requirements for efficient scheduling according to different, usually contradictive, criteria. With increasing resources utilization level the available resources set and corresponding decision space are reduced. This further complicates the problem of efficient scheduling. In order to improve overall scheduling efficiency, we propose an anticipation scheduling approach based on a cyclic scheduling scheme. It generates a near optimal but infeasible scheduling solution and includes a special replication procedure for efficient and feasible resources allocation. Anticipation scheduling is compared with the general cycle scheduling scheme and conservative backfilling using such criteria as average jobs’ response time (start and finish times) as well as users’ and VO economic criteria (execution time and cost). This work was partially supported by the Council on Grants of the President of the Russian Federation for State Support of Young Scientists and Leading Scientific Schools (grants YPhD-2297.2017.9 and SS-6577.2016.9), RFBR (grants 15-07-02259 and 15-07-03401), and by the Ministry on Education and Science of the Russian Federation (project no. 2.9606.2017/BCh).